Ski Holidays to Schladming in Austria 2017 & 2018. Schladming is situated in the Dachstein-Tauern Ski area and is also part of the biggest ski region in Austria, the Ski Amade. Ski Amade is Austria’s largest ski region encompassing more than 20 villages, 860kms of downhill piste and 270 ski lifts. It is possible to visit some of the other ski villages outside Schladming in the Ski Amade region relatively easily. Schladming lies within the breathtaking Dachstein Mountains in the area of Styrian. The main ski area is made up of 4 mountains and the Dachstein Tauern region also incorporates some smaller areas, including the Dachstein Glacier. Schladming is scheduled to host the World Ski Championships in 2013 and holds major sporting events during the season. Schladming offers some excellent and varied skiing from more challenging downhill runs to enchanting tree lined routes. Downhill routes are used annually for the Men’s World Cup Night Slalom. The lively town of Schladming is dated around the medieval era and has plenty to offer from shops to quaint cafes and bars. This resort is well known due to the international Alpine Ski World Cup races which are held at the highly regarded Planai venue. Schladming has also hosted the Special Olympics World Winter Games. The steep tradition of Schladming and state of the art facilities have attributed to its international reputation. Travel time from Salzburg is around 2 hours to get to the Schladming resort. Schladming is situated at a fairly low altitude, however, the snow is very reliable and the pistes are well maintained. More skiing can be accessed at St Johann im Pongau and Obertauern. Additionally, the lift system provides access to the entire area, so queues are reduced. Schladming has in excess of 50kms of pistes and the skiing is superb for intermediates. There are many tree lined runs and the Obertauern and Dachstein glaciers are around 45 minutes away. If they are still learning, boarders should head for Schladming as it is a very boarder friendly resort (2 parks, 2 half-pipes and a boarder cross track). The gondola system known as the ‘Golden Jet’ stretches across the Talbach Gorge at a comfortable height. If you are less experienced, the new Sun Jet gondola situated at Hochwurzen allows skiers to take a more comfortable mode of transportation. 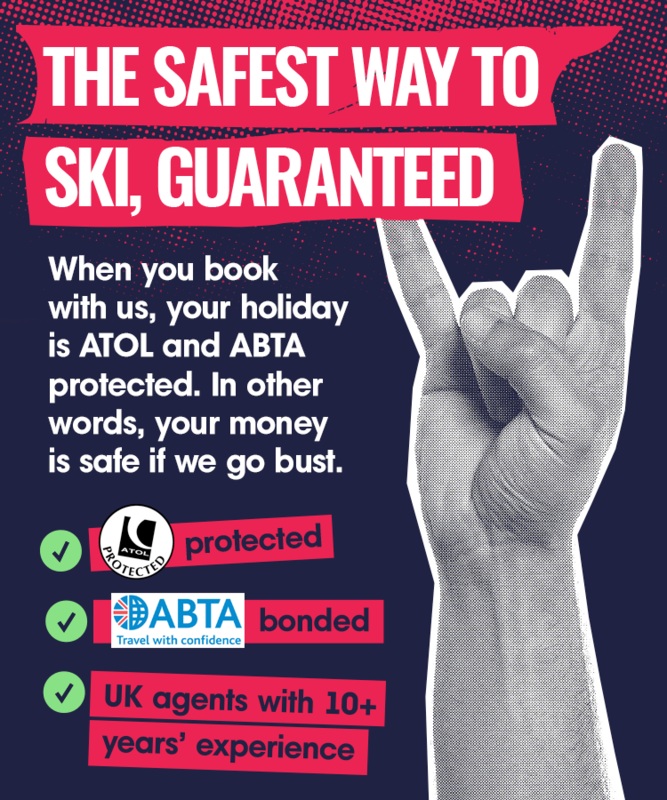 It also provides a direct connection to 4 other slopes and therefore means that the transport waiting time is significantly reduced. The 2 mountains in Schladming, Planai and Hochwurzen, are both well known in Styria as they border with the Ski Amade area and SalzburgerLand, which helps to keep the area popular with skiers throughout Europe. There are 52 lifts and 117kms of pistes in the Schladming resort. There are also in excess of 600 artificial snow machines covering the area to ensure adequate coverage in the event of a ‘bad’ winter. The snow machines mean that the start of the ski season at Planai can start as early as the end of October. At Hochwurzen there is a 7km toboggan run which operates both during the day and at night. Children can get discounted rates on certain days during the season in the Ski Amade area too. Schladming itself is a lovely town, as well as a good ski resort. It is an excellent resort for all levels of skier and is worthy of a four star rating. There is something for everyone and couples, groups and families will all enjoy the delights that Schladming has to offer. There is a traffic free centre and the main gondola goes from close to the centre, which is very convenient. Restaurants are excellent both on and off the slope and the apres ski caters for all groups and is quite lively. Non skiers can also take advantage of the numerous activities and facilities that the town has on offer. Some of the available alternatives to skiing include the indoor swimming pool, indoor tennis, squash, ice skating, curling, sleigh rides, night skiing, the 7km toboggan track or the Dachstein Ice Palace and Sky Walk. If you enjoy good food and drink look out for the ‘Genuss-Specht’ (woodpecker figure) at participating restaurants where you will find local cuisine dishes on the menu for reasonable prices. Some local dishes include ‘Kaiserschmarrn’, delicious crispy marinated pot roast pork and Fleischkrapfen. Just what you need after a busy day’s skiing out on the slopes. Often venues have a roaring log fire to warm you too, while you rest your tired legs – the perfect skiing day!